He has been the sole proprietor and operator of West Perth Property Settlements since 2004, and prior to this was licensee/Director of a large settlement agency in Perth. Cam has also held senior roles at other settlement agencies. Cam established West Perth Property Settlements as a boutique settlement agency with the primary aim of providing clients with the best service possible. As a duel-license holder, Cam has considerable understanding of both the real estate settlement and the real estate sales industries; this broad-based knowledge of the industry is extremely beneficial to clients. Cam participates in various post-graduate and ongoing professional development courses to keep up-to-date with legislative and statutory requirements, and in order to conform to all aspects of the Settlement Agents Code of Conduct. 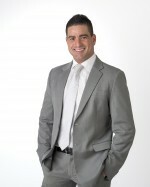 For the past 12 years, he has gained extensive industry knowledge across a broad cross-section of the real estate and property settlement industries, and has successfully finalised settlements in residential, industrial, light industrial, retail/commercial, Perth CBD, sub-divisional developments and vacant land blocks across Western Australia. Cam’s valuable knowledge, breadth of experience and diverse skills allow him to provide professional, one-on-one advice concerning any real estate or settlement matter. He is qualified to handle any type of property settlement in Western Australia.